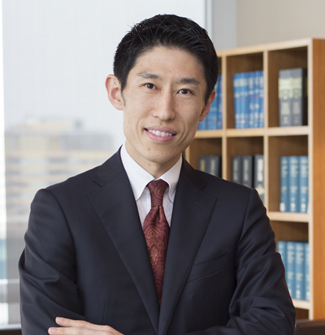 Shinsuke Yakura is the Office Leader of Orrick's Tokyo office and a member of the Complex Litigation and Dispute Resolution Group. He is an expert in handling cross-border litigation, arbitration, intellectual property and compliance matters. His practice focuses on intellectual property, antitrust, product liability, medical and pharmaceutical, and other commercial disputes for both domestic and foreign companies. He actively engages in cross-border litigation and arbitration, and draws on his extensive knowledge and experience from various countries. In regards to intellectual property, Shinsuke has represented numerous companies in patent infringement litigation involving a wide range of technologies related to electric devices and industrial machinery. He has also handled other IP-related issues such as trademark, copyright and right to publicity. He is a qualified patent attorney (Benrishi) in Japan. Recently, he has been involved in business and legal issues related to artificial intelligence (AI), Internet of Things (IoT), and big data; he also acts as the Asia representative of Orrick’s Global AI Working Group. Consistently providing strategic advice from a global perspective, he is also actively involved in bribery regulations including FCPA and UKBA, antitrust and competition law, cartel, fraud and compliance investigations. He also advises in mergers and acquisitions, licensing and other transactional matters. On December 30, 2018, an amendment to the Japan Antimonopoly Act (the Act) to introduce “Commitment Procedure” became effective. The Commitment Procedure is a new procedure to resolve alleged violations of the Act voluntarily by an agreement between the Japan Fair Trade Commission (JFTC) and a company under investigation. It is similar to an antitrust consent decree under U.S. law. The Commitment Procedure was introduced in accordance with the Trans-Pacific Partnership Agreement, first signed by 12 countries but then by 11 countries after withdrawal of the United States. When an alleged violation is malicious and substantial and could result in criminal accusation. A typical flow of the Commitment Procedure is: (i) JFTC issues notice of an alleged violation of the Act to a company under investigation, (ii) the company under investigation voluntarily composes and submits to JFTC within 60 days a plan to remediate the violation and (iii) JFTC decides whether or not to approve the plan. As a result of JFTC’s approval of and the investigated company’s compliance with the plan, JFTC will not issue a cease-and-desist order and/or surcharge payment order. In practice, it will be important for an investigated company to closely communicate with JFTC and promptly conduct an internal investigation to seek possible options including taking advantage of the Commitment Procedure and avoiding a possible cease-and-desist order and/or surcharge payment. On June 6, 2017, a committee within Japan’s Fair Trade Commission published a report on competition policy and big data. The report is based on a concern that dominance of big data by certain major technology companies could impede competition and innovation, and addresses how Japan’s Antitrust Act (Act) could be applied in this context. Although China and Japan have very different histories regarding their antitrust laws, antitrust enforcement officials from the two countries have recently taken steps to open a formal dialogue. This is a welcome development for Chinese and Japanese companies, as well as for foreign companies that do business in China and Japan, and it continues the trend of increased communication, cooperation and coordination among national enforcement agencies. There remains an open question, however, as to how convergence among Asian antitrust enforcement agencies will affect possible convergence with agencies in the United States, the European Union and the rest of the world. Buckle up for Japan’s new plea bargaining! Over the past decade, the Japan Fair Trade Commission (JFTC) has increased its criminal enforcement of Japan’s antitrust law, the “Act on Prohibition of Private Monopoly and Maintenance of Fair Trade,” commonly known as the Anti-Monopoly Act. This trend is likely to continue because last month Japan’s Diet amended the Code of Criminal Procedure to introduce a plea bargaining system that creates an incentive to report antitrust violations committed by others. The new plea bargaining system, which applies to crimes such as antitrust, fraud, bribery and tax evasion, will be implemented in Japan within 2 years.